Another day to celebrate wine – August 28 is National Red Wine Day. The question is what red? What is your favorite? My answer years ago was a well-made Sangiovese, but now there are many more choices to consider. Here’s a list of my favorite reds: Sangiovese (still), Barbera, Nebbiolo, Lemberger, Cabernet Franc, Cabernet Sauvignon, Norton, Tempranillo, as well as several red blends. But, it’s Red Wine Day, not Red Wine Week, so I will have to choose. We will definitely raise a glass to toast red wines. Hope you enjoy a glass or two? For the wine lovers who love a good dry Rosé and thought that the only Rosés to be found in Kentucky were sweet, I have found just the thing for you. 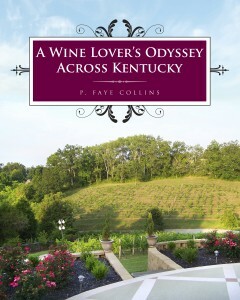 Wight-Meyer Vineyards and Winery in Bullitt County has a Rosé made with a whole cluster press of the Zinthiana grape. The flavors and aromas are reminiscent of dried strawberries with an aftertaste of cranberries. For those who are not familiar with Zinthiana, it is a relatively new grape species resulting from a cross of “Zinfandel” and “Norton” made in 2001 in California. Combining characteristics of both its parents, it has a hardiness to cold weather, is disease resistant, and has high productivity. It produces a dark grape that is suitable for red wines. Jim Wight, winemaker at Wight-Meyer, has used this grapes to create an exceptional Rosé that is sure to please the most discerning Rosé lover.